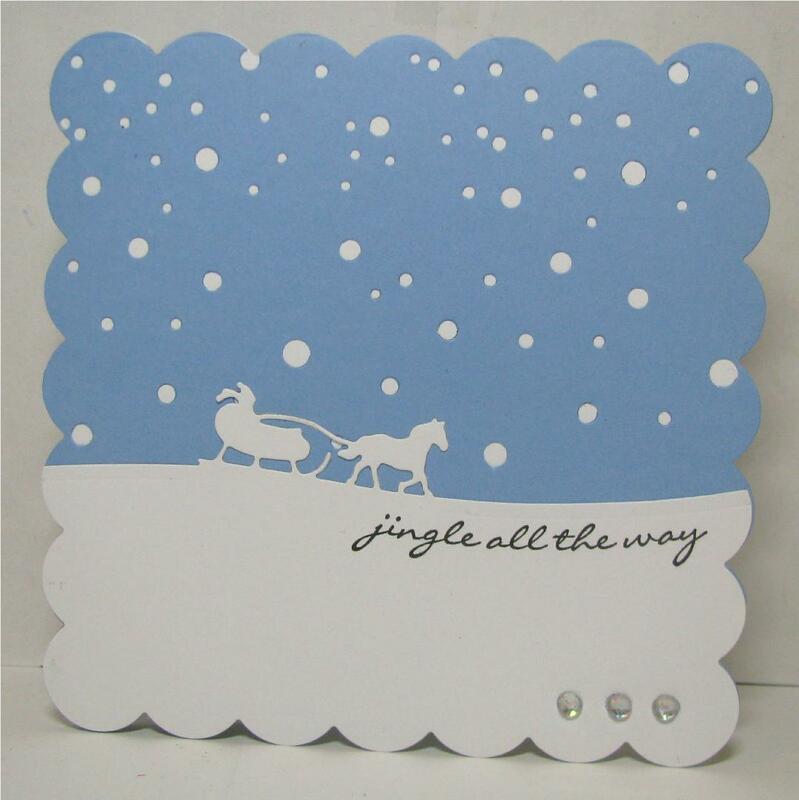 Dies: Snowfall Reverse Cut (Frantic Stamper), horse and sleigh snow hill (Stampin' Up-Sleigh Ride Edgelits) (or use these and stamp a horse and sleigh, or use a die), scalloped card base (Quickutz Nesting Square Scallops, but you could use these). Paper: white cardstock (Neenah), blue cardstock (Michael's Recollections). Stamp: sentiment (Stampin' Up-Jingle all the way, or use your own sentiment and curve it on a acrylic block), Versafine Onyx Ink. And of course, now that I'm done with it-I thought of making an inky night sky and die cutting the snowfall! That will be my next one!